Sticking to the current stalemate will be costly for both sides, with the opportunity costs accumulating over time. However, a breakthrough looks unlikely. Various proposals for greater economic integration between Russia and the EU have been put forward in the past two decades, although little progress has been achieved. The EU has persistently rejected Russian proposals. Apart from geopolitical factors and the EU institutions’ general lack of trust towards the present Russian political elite, Moscow’s insistence on being regarded as an equal partner has been a major sticking point. Since 2014 and the exchange of sanctions, economic relations between the EU and Russia have suffered a significant further setback. Greater economic integration between Russia and the EU would be beneficial for both sides. In the short-term, the EU would gain better access to a huge market, while in the longer run Russia would be able to attract much more Western FDI, facilitating badly-needed modernisation and diversification of its economy. Sticking to the current stalemate will be economically costly, not only for Russia (and even more so countries in between, such as Ukraine) but also for the EU. However, political reality suggests little chance of a breakthrough anytime soon. 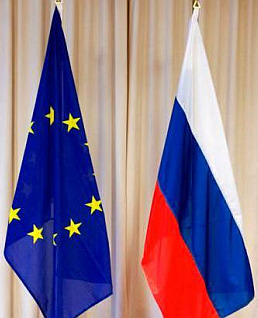 Since the early 2000s, Russia has on several occasions proposed various forms of economic integration to the EU, including common spaces, a free trade area, a ‘Common Economic Space from Lisbon to Vladivostok’, a ‘Strategic Partnership’, and a mutual visa-free regime. However, these proposals have invariably been rejected by the EU, and economic relations between the two sides – despite the Russia-EU ‘Partnership for Modernisation’ announced in 2010 under the then Russian President Dmitri Medvedev, which remained largely on paper – have not advanced. They underwent another setback with the exchange of sanctions in the wake of the Ukraine crisis in 2014. From an economic perspective, neither side’s position has been rational. On the EU side, an analysis by the Bertelsmann Stiftung (which analysed the economic effects of integration between the EU and the Eurasian Economic Union) suggested that the EU – if it had agreed to the Russian proposal of trade integration – would almost certainly have economically benefited from it more than Russia in absolute terms, at least in the short and medium run. (In relation to GDP, though, the gains for Russia would be higher than for the EU because of the relatively small size of the Russian economy.) Russia’s import duties are generally rather high, and their elimination could offer EU producers full access to the lucrative Russian market of 147 million consumers. Needless to say, the lifting of Western sanctions and Russian counter-sanctions (food embargo) would benefit EU exporters as well. For Russia, the immediate gains from trade integration with the EU would be likely more modest. This is not only because EU import duties are generally lower than in Russia, but also because the bulk of Russian exports to the EU (oil and gas) face no trade barriers at all. For these reasons, the incremental improvement in access to the EU market for Russian producers would be relatively limited. At the same time, Russian producers oriented towards the domestic market would have a hard time competing with European products. However, over a longer time horizon, Russia would also likely benefit, particularly under an ‘asymmetric’ integration scenario (similar to the EU Association Agreements signed by Georgia, Moldova, and Ukraine). If the past successful experience of EU-CEE is of any guidance, adopting large parts of EU norms into domestic law could help attract sizeable inflows of European FDI into Russia, transforming the economy and facilitating its badly-needed diversification and modernisation. If the above is true, why has greater trade integration not happened in recent decades? On the EU side, geopolitical factors (and ultimately the lack of trust towards the present Russian political elite) are clearly a major part of the story. However, this is not to say that economic factors did not play a role. One such factor, for instance, was Russia’s insistence on equal partnership, and the EU’s refusal to countenance this. The Russian government has rejected entering into asymmetric economic integration with the EU, as it would effectively result in Russia ceding control over large parts of its economy to foreigners. In 2008 Russia adopted the so-called ‘Strategic Sectors Law’, which identified 42 types of activities of ‘strategic importance to national defence and state security’ with limits on foreign ownership; and the law has since undergone only minor revisions. It would also go against the very idea of equal partnership, something that much of the Russian political elite and population find very difficult to accept. Needless to say, following the outbreak of the Ukraine crisis in 2014, economic relations between the EU and Russia have suffered a significant further setback. The EU imposed restrictions on lending to selected Russian companies, as well as bans on the exports of military and dual-use goods and certain types of oil-drilling technologies to Russia, while Russia retaliated with an import embargo on most EU agri-food products. So far, both measures have contributed to a strong decline of EU exports to Russia, although the impact on Russia’s exports to the EU is yet to be seen (it will only potentially materialise in the long run once the sanctions on exports of oil-drilling technologies start biting). The above suggests that there is a strong economic rationale for both sides to depart from the confrontational policies pursued towards each other so far. Sticking to the current stalemate is costly, including (or perhaps especially) for the countries in between (particularly Ukraine), with the opportunity costs accumulating the longer the stalemate persists. However, as has been shown, the explanation for the current dismal state of Russia-EU relations lies mainly in the (geo-)political rather than the economic sphere. As long as the vast divergence of views between the two sides, particularly on the Ukraine conflict, persists, any breakthrough is highly unlikely. Even a change of government in Russia (unlikely itself) may not result in a change of stance: most Russian opposition politicians (including Alexey Navalnyi) are equally in favour of keeping Crimea as part of Russia. Similarly, while both Brexit and the growing alienation between the EU and the US under President Trump may weaken somewhat ‘anti-Russian’ voices inside the EU, this may not be pronounced enough to bring about a radical turnaround in the EU current critical stance towards Russia. This is a summary of an article that first appeared in our November Monthly Report. For six months after publication, wiiw Monthly Reports are only available to members. To learn more about wiiw membership, click here.